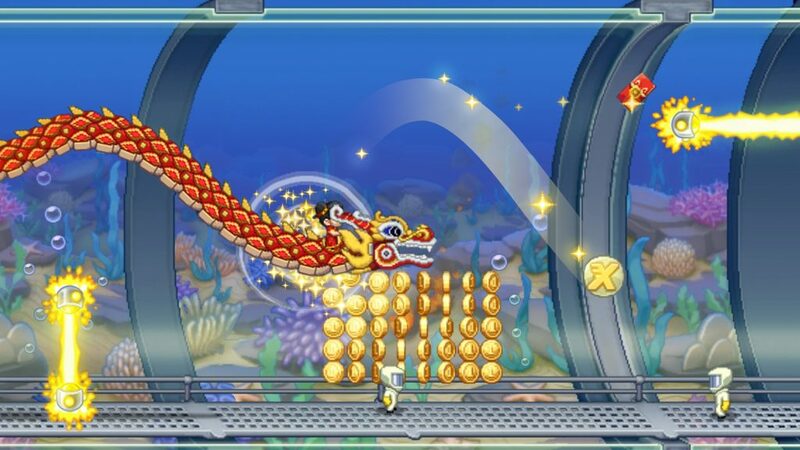 Jetpack Joyride (MOD Unlimited Coins) is a helicopter game released by Halfbrick Studios – producer of Fruit Ninja. The beta version of the game was released on May 11, 2012, on the Facebook platform, then the game switched to other platforms like Android, iOS, Window Phone, PlayStation 3, PlayStation Vita, BlackBerry PlayBook,… The game has quickly attracted a huge number of players worldwide with nearly 5 million rating, over 100 million downloads on Google Play and has always been one of the top games on the App Store. This game is always on my list of “indispensable mobile games”, alongside Subway Surfers and Candy Crush Saga. 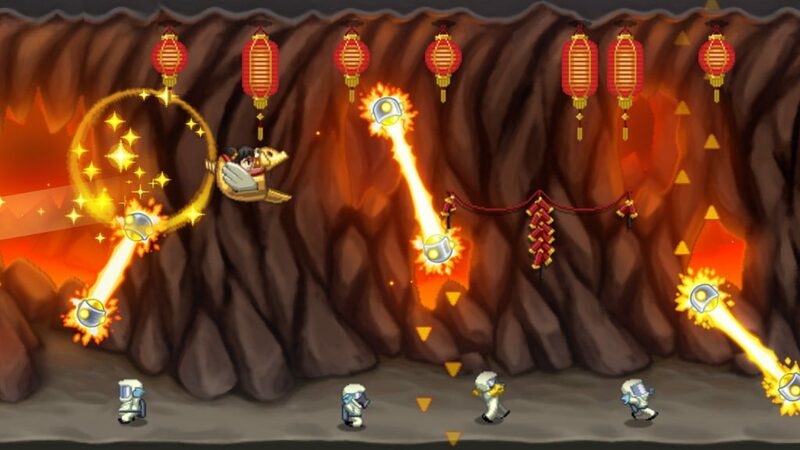 In Jetpack Joyride, you’re the legendary hero named Barry Steakfries (not Barry Allen). Barry just broke into a high-tech lab to steal the Jetpack machine – a jet engine. Oh no, he has just been discovered. Use the machine you just stole to run away from the lab. In fact, you have no way to escape this lab because this is an endless running game, or maybe this is a lab stretching from the Atlantic to the Pacific. It doesn’t matter. Your only goal is to progress over time and improve your score record. Only a little glimpse of glory, but you can enjoy the great feeling that the game brings until you lose. 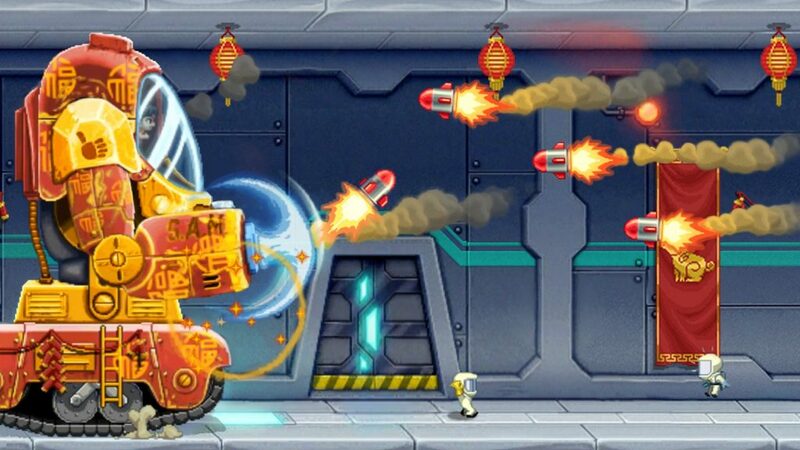 Jetpack Joyride is a game with the simplest way of playing I know. Just like Flappy Birds, you just need to use one finger to keep Barry flying in the air or let go so he can land. However, you can fall and run on the ground. I think you should keep him steady in mid-air to avoid obstacles. Don’t forget to collect coins and kill the evil scientists who are fleeing below. To make the game more interesting, Jetpack Joyride adds 3 unique missions to the player in each game. For example, collect 200 coins, move 1000m without killing any scientist, avoid missiles, … Complete the mission, you will get a large amount or a corresponding number of points. After achieving a record score, you can share on social networks and compete with your friends on the rankings. Jetpack Joyride’s 2D graphics are based on the inspiration of old 16-bit games and subtly improved. The environment is lively, the image quality is high and everything is done smoothly. There is not much to say about the audio part, I can only say that it is quite okay. This is a game that you can play in silent mode. Many players often have the habit of turning off the audio to open the music player of the phone, but I think you should only turn off the background music because sometimes, the sound in the game warns you of a danger that is coming. What’s new in version 1.15.3 ? What do you need to pay attention to when using the MOD version? Please launch and play game without the Internet! 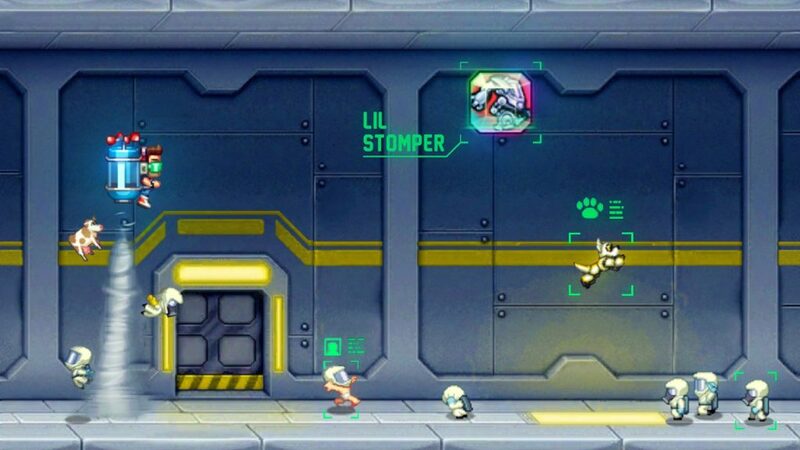 For me, Jetpack Joyride is an indispensable game on my smartphone. The game does not require an internet connection, I can play it anywhere, anytime. At home, at work, at Starbucks or when I’m on a bus. There are no different levels, but the feeling of regret after a failure is enough to make you play one more time. 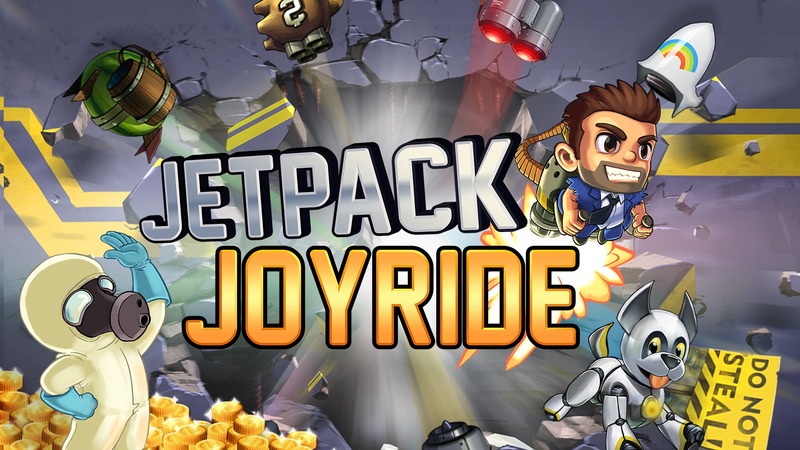 Jetpack Joyride MOD APK is ready to download! Depending on your needs, you can download Jetpack Joyride MOD APK or Jetpack Joyride Original APK. Or install from Google Play / App Store if you want.